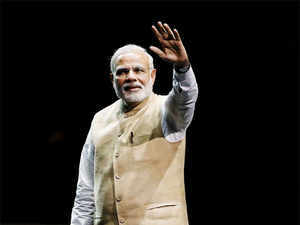 Paradoxical, though, this may sound, Prime Minister Narendra Modi is increasingly borrowing from the pages of Rajiv Gandhi. In late 1987, under siege after the Bofors disclosure and fearing opposition ganging up against his party, the then prime minister countered opposition efforts at uniting under one umbrella by reviving the label his mother had tagged on the Janata Party which displaced her in 1977 — khichdi sarkar. To prevent anti-incumbent sentiment from converting into support for the Opposition, Rajiv attempted to delegitimise the unity efforts. If successful, it would result in anarchy and policy decisions would come to a halt, he claimed. His words echoed in Parliament during Modi’s reply to the debate on motion of thanks to the President’s address when he coined the term “milawati sarkar”. For months, he has virtually paraphrased Indira Gandhi’s 1980 slogan: Chuniye unhejo sarkar chala sakein (Elect those who can run a government). The paradox does not end here because the roles are now reversed — the BJP occupies the position the Congress once did and it is now relegated to where the BJP once was. Back in the 1980s, there were various regional parties, in direct conflict with the Congress in different states but looking for a national adhesive. Although Indian politics has further fragmented and coalitions are no longer viewed as unenthusiastically because they provided stable governments between 1999 and 2014, Opposition parties are also borrowing from the books of the parties of yore. In the late 1980s the BJP argued that opposition to the ruling party did not necessitate subsuming one’s identity within an umbrella party. Its leaders insisted on maintaining a “distinct identity”. Yet, they did not shy away from striking tactical alliances with even ideologically hostile parties because “ouster of this corrupt and worthless government is the No. 1 issue before the people, and should take precedence before everything else”. Similarities between this 1988 BJP resolution and West Bengal CM Mamata Banerjee’s recent statements show that the more things change, the more they stay the same. Hint of what was to come was evident when negotiations between the Congress and the Bahujan Samaj Party broke down before polls in Madhya Pradesh, Rajasthan and Chhattisgarh. When the Samajwadi Party too followed suit and set up candidates, chances of formally scaling up Bihar’s Mahagathbandhan at a national level further reduced. In recent weeks, we witnessed a strategic coming together of opposition parties. Scrutinise the alacrity with which Congress president Rahul Gandhi and other regional leaders responded to the episode in Kolkata; and an equally enthusiastic response from Mamata when Robert Vadra was summoned for interrogation. The strategy of every opposition party is two-pronged: not to lose sight of the first task, as articulated by the BJP in that 1988 resolution, but also to remain on guard protecting their territory. It is evident that there will not be a single challenger to Modi like in 1989 when VP Singh was the face of the opposition. Instead, the BJP faces a principal challenger in each state — if in Uttar Pradesh it is the Mayawati-Akhilesh Yadav combine, in West Bengal it is the Trinamool Congress leader. In Madhya Pradesh, Rajasthan, Chhattisgarh, Gujarat, Punjab, Himachal Pradesh, Uttarakhand, Gujarat and a few smaller states of the Northeast, the BJP’s primary contest will be with the Congress, while in states like Maharashtra and Karnataka, the fight will be with an alliance where the Congress is a dominant partner. Mathematically speaking, there would be no single Index of Opposition Unity. In its place, there would be state-level IOU and this may even vary within a state — from one seat to another. This emerging electoral picture is important not just for the BJP to come to terms with and strategise accordingly, but equally vital for opposition parties. In the weeks to come, the door will remain open for informal or tacit alliances where parties either do not put candidates from select constituencies or field “weak” candidates with the aim of aiding another anti-BJP party. Once again, the BJP’s tactic from 1987 onward till 1989 provides the template. In the Haryana assembly polls in 1987, when Rajiv Gandhi’s Congress faced the first electoral defeat, Devi Lal’s Lok Dal farmed out 18 seats to the BJP on the one hand and a seat each to the CPI and the CPM on the other. Although there were overlaps, the method nonetheless ensured a single opposition candidate in most seats and was the factor behind the Congress’ defeat in the 1989 Lok Sabha polls as the Janata Dal-led National Front allied with the BJP on some seats and with the Left on others. Except in the event of the BJP winning sufficient seats to ensure another term for Modi, the nature of the next government will become clear only after the verdict. It will depend completely on how numbers are stacked in favour of parties. Parties opposed to the BJP will undoubtedly do business with one another but will always keep an eye on their party’s proft & loss statement. Success or failure will depend on how they balance this and the larger goal.